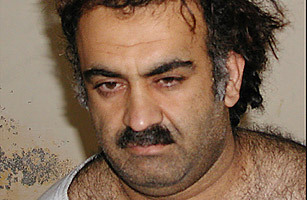 Khalid Sheikh Mohammed is the self-proclaimed mastermind behind the 9/11 attacks. Born in Kuwait to parents from Pakistan, he has admitted, the Pentagon alleges, responsibility "from A to Z" for the attacks in New York City and Washington. In addition, Mohammed reportedly told a legal hearing that in 2002 he personally decapitated kidnapped U.S. journalist Daniel Pearl. Captured in Pakistan in March 2003, Mohammed has been subjected to harsh interrogation techniques during his questioning. He and four other alleged 9/11 plotters will now be transferred to the U.S. and tried in New York City. See TIME's photo essay "The Challenge of Memorializing 9/11."